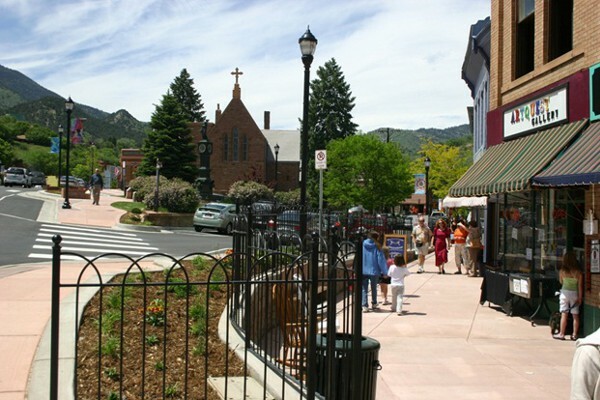 BLUE SKIES INN is located in the foothills of Pikes Peak, at the heart of Colorado recreation, with good access to river rafting, mountain hiking, unusual shopping centers and all of the terrain and sights that characterize the Colorado experience. 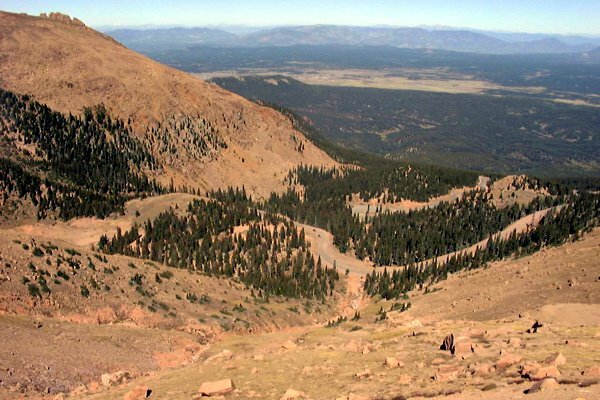 Pikes Peak is accessible by trail, road and railroad. Every year on a Saturday in mid-August, thousands of athletes run up Barr Trail from Manitou Springs to the top of the mountain, a thirteen mile run. On Sunday, athletes run up and down Barr Trail for a full Marathon. 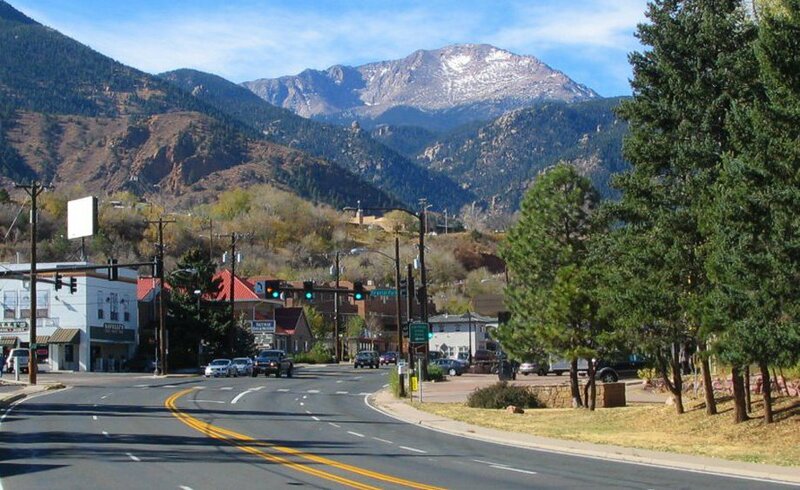 There is no restriction preventing anyone from running or hiking up Pikes Peak any time of year, but for those of us who are, shall we say, less adventurous, there are other routes to the peak and other attractions that surround the mountain. About a mile from Blue Skies Inn is the terminal for the cog-wheel railroad that climbs Pikes Peak many times daily in the summer, and two or three times a day throughout the year. 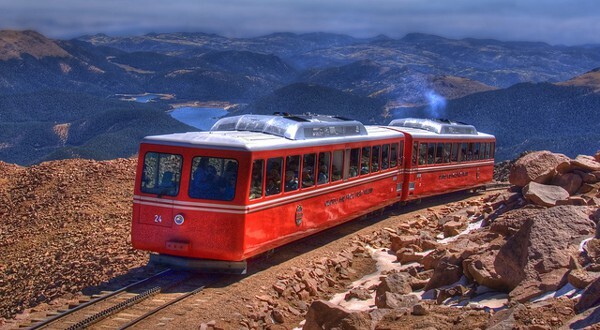 We recommend the Cog Railway as the easiest and most relaxing way to sample every kind of Colorado mountain scenery while enjoying the vast panoramic views of the Great Plains that can be seen from the summit. Wildlife abounds on the train route, including marmots, mule deer, elk and bighorn sheep. The trip lasts about three hours, with a layover on the summit. Reservations are highly recommended for high summer. 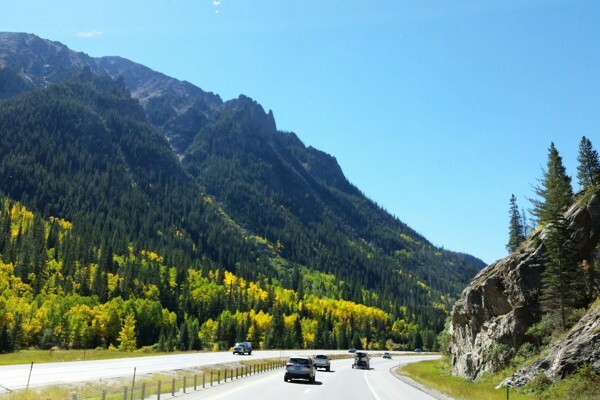 Families traveling with young children who might get restless on a long train ride can nevertheless enjoy Pikes Peak by driving four miles from Blue Skies Inn west on US Highway 24 to the entrance of the famous Pikes Peak Highway. Nineteen miles of highway wind up to the summit, with many scenic stopping points along the way for photos. 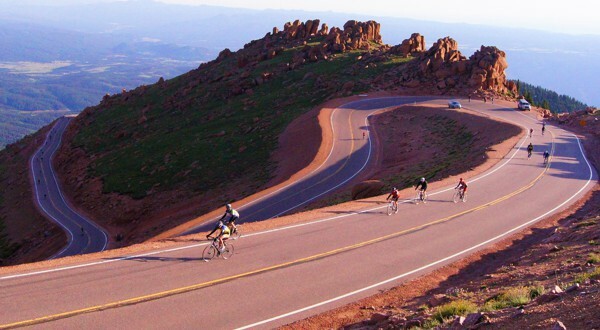 Pikes Peak Highway is open year-round, weather permitting, the cost to travel to the Peak is $10 per person (under 16 free) or $35/$40 per car (depending on season). On your way to the Fossil Beds in Woodland Park (about 20 minutes up US Highway 24 - look for the palm trees on the left) is the RMDRC, open 9 AM to 6 PM except Sundays when it is open from 10 AM to 5 PM. 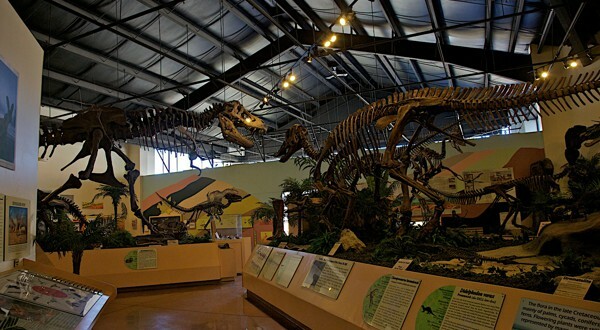 This large research center features numerous hands-on exhibits and displays depicting the geological and evolutionary history of the Rockies, including numerous dinosaur models and skeletons. Fees help subsidize on-going research and dinosaur restoration projects at the Center, which can be viewed along with the exhibits. 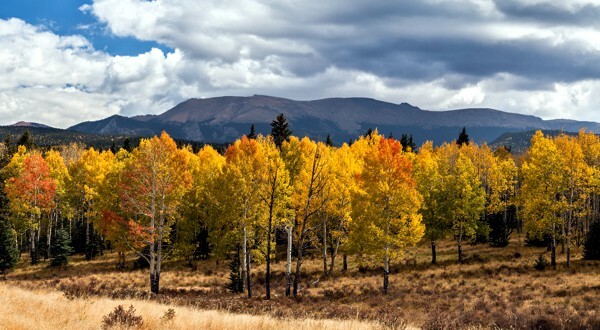 If you travel 40 minutes west over Ute Pass and around the far side of Pikes Peak, visitors to Blue Skies Inn can enjoy hiking in Mueller State Park. 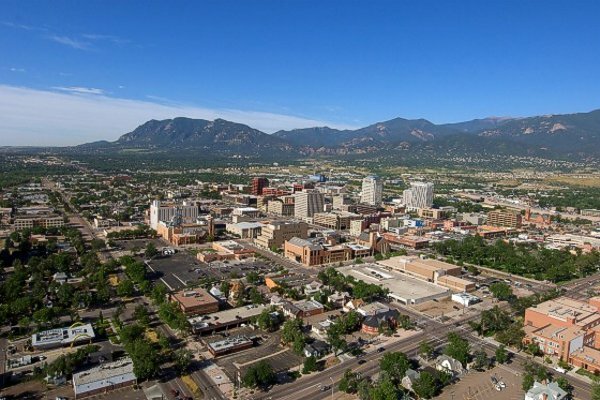 This beautiful park is set in the rolling foothills on the west side of Pikes Peak and features pine forest, aspen stands, marshes, a rushing stream in a deep valley and mountain meadows full of wildflowers. It is the true essence of Colorado as seen on postcards. We highly recommend this park as the closest and most accessible means of getting into Colorado mountain terrain. Mueller's extensive network of trails features all degrees of difficulty, permitting one to take a hike as challenging or easy as the visitor wishes. 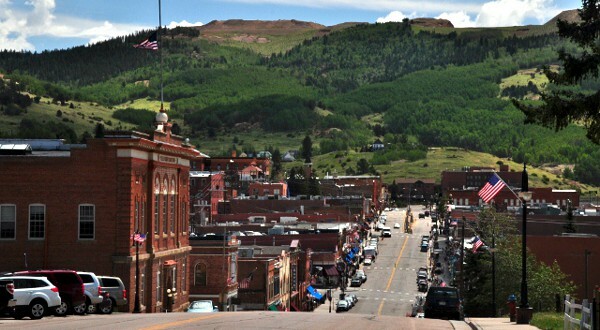 An hour's drive through some of the prettiest country in Colorado brings guests at Blue Skies Inn to the mountain town of Cripple Creek. 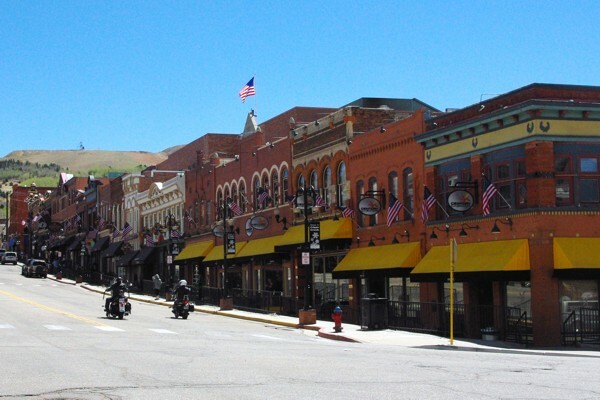 Once the center of the Pikes Peak or Bust Gold Rush in the late 1800's which became a fading ghost town of old mining shacks and homes, this old western city has been recreated as a gambling town. Old facades have been carefully restored, but this place has a little glitz of Las Vegas. 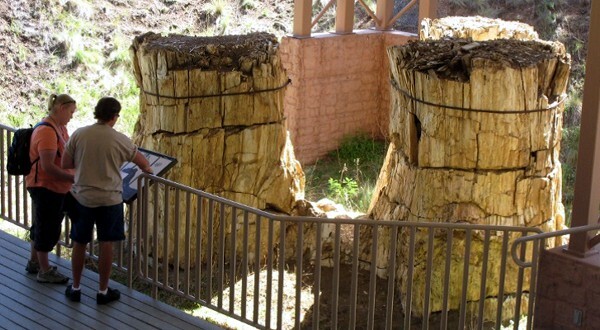 The local museum features a superb collection of artifacts from gold mining days, and no one should leave Cripple Creek without taking the Molly Kathleen Gold Mine tour. About 10 minutes from Blue Skies Inn lies North Pole with something for every member of the family to do. Meet Santa Claus and his elves. Ride on the unique Christmas Tree Ride, swing through the sky on the Enterprise Space Shuttle, and enjoy a whimsical ride on our Antique Carousel. You can fly through the sky on an Aerial Tram or stay on the ground with the Miniature Train. 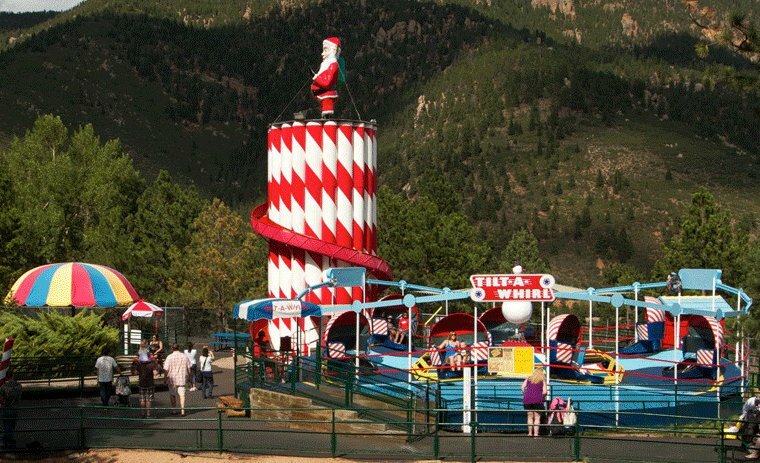 There are more than two dozen family-friendly rides for your pleasure. Spend time feeding our goats and llamas, or watch the magic show.